It’s easy to panic. You’ve gone through a lot with a loved one addicted to alcohol or drugs. Choosing to go to rehab center seemed like the turning point you all needed. Things couldn’t go on in the same way. You assumed that this was rock bottom. But now they’re leaving treatment. It is difficult enough when they leave after the program is complete, but they have called you to tell you they’re leaving early. This isn’t right for them, they say. They’re fine, and don’t need it anymore. They’re not like the others. This place is doing them more harm than good. Whatever their excuse, you don’t know what to do. You remember the days before they entered treatment with horror. You lived in fear that they would overdose or do something fatally irresponsible. You fought and cried and got angry and despaired. You wanted to stop caring because it was just so painful. The difficult reality is that, unless they have been court-ordered to attend rehab, they can quit whenever they want. You can’t force them to continue. But you are not entirely helpless. 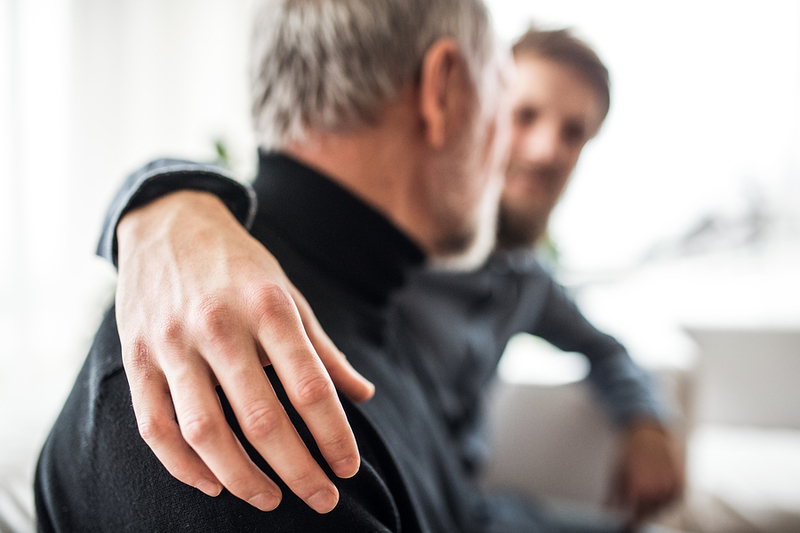 Here are some things to consider when your loved one decides to leave treatment. When your loved one rejects treatment, it can feel like a personal betrayal. You’ve gone to great lengths to get them help, even though their behavior has made your life hell. They made promises to you that they’re not keeping. It’s important in the moment to try and find compassion for them. Remember that they are not doing this to you. They are scared and feel helpless. Maybe they don’t feel they deserve the help. Remember also that beating addiction is one of the most difficult things a human can do. Hitting a snag is perfectly normal, and has nothing to do with you. They probably feel terrible about leaving treatment, even if they don’t express it. Whatever you do, do not act out of anger. However, this does not mean you should be soft on them. They made agreements and commitments when they entered treatment, and you should hold them accountable. If you determined not to let them come home until completing treatment, don’t let them come home. This can be incredibly difficult, especially if you have struggled with enabling them in the past. Remind yourself over and over again that you’re not doing this out of anger. You are not punishing them. You are only trying to get them help, according to what they themselves agreed to. In their fear and panic, they may have forgotten why they chose to go to rehab in the first place. They may begin to think they don’t need it or that it won’t help them. It is difficult at that moment for them to see things in a way that isn’t myopic. You, however, still remember what life was like beforehand and their own reasons for seeking help. Remind them of these reasons, reiterating why those reasons are still valid. A big part of your challenge will be finding a balance between coming across as callous and giving in. Tell them that you love them and only want them to succeed, and remind them that this is why you’re being hard on them. You know that they can make it, that they have got what it takes to put in the work and recover. But whatever you do, don’t run to their rescue. Rescuing them may well be part of the pattern of addiction, and you must do your part to break the pattern. A lot of families feel that their loved one’s addiction is their business. They therefore try and keep it in the family, rather than going to their loved one’s therapist or social worker. Alternatively, they may feel that speaking to their loved one’s therapists is a betrayal. In many cases, speaking to someone’s therapist without their explicit agreement is indeed a betrayal. But overcoming addiction is in many ways a family affair. One person’s addiction affects the whole family, and everyone’s roles are shaped around them. Keeping it in the family ensures that the same patterns will repeat themselves. The same people will run to the rescue. The same people will enable. The same people will express anger and betrayal. Speaking to your loved one’s counselors is going to be imperative in forming new patterns. Family therapy, as well as participation in Al Anon or Nar-Anon is part and parcel of recovery. In this situation in particular, the pro has all the facts that you do not. They have been working with your loved one and know what they are going through. They have also seen this many times before. This is not the first person who has expressed the desire to leave treatment early and it won’t be the last. They can predict the best course of action because they have seen what works and what does not. Finally, it is imperative that you consider yourself and take care of yourself first in this scenario. This is not a selfish action. Rather, it helps you make the best choices for your loved one. Most unhealthy family patterns start because everything becomes about the addict. By getting help for yourself, you’re doing what it takes to break from those patterns. Anyone with a loved one with an addiction is best-served by seeking out therapy for themselves. You need to learn to take care of your own psychological needs if anything is to change. When families do not get the help they need as individuals, they can end up hampering the process they started. This is important even when your loved one completes a rehab program and comes out ready to face the world sober or clean. Otherwise, they have changed while their family has remained in the same place. Setbacks are unfortunately common in any addict’s recovery process. Try and be ready from the get-go for these challenges so that when they occur you do not panic. Remember that there are professionals who can help you and your loved one, and that human nature is to keep striving. Yes, this may be a scary time, but by putting in the work to improve your own self-understanding, you will more easily see the way forward.